Well where did the summer and the break from football go?? What with trials, tournaments and friendlies it seems to have been a very busy summer…. Great news for our club is that we have a brand new set of superstars joining us ay at U9’s under the watchful eye of Darren Morris. If I am correct there are 10 girls in the squad with a few more already training with an eye on creating another U9’s team at some point. This is great future development for the club as the squad sizes get bigger as the players progress. 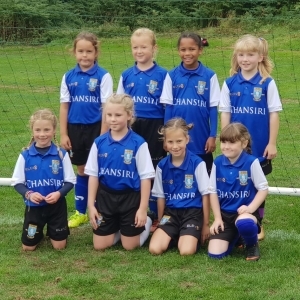 The U9’s played their first league fixture away at Huddersfield and manager Darren reported back that they are future stars after a great game with lots of smiling faces. There was no league fixture for our U10’s so they will have to wait until next week to get their season started away at Penistone Church. The U11’s did get their season under way at Crosspool in a great game that saw the girls put in a great performance that had their parents and managers smiling. Our U12’s were up against it in their first game when they played MDS Falcons having moved up to 9v9. Due to holidays and illness they only had a very valiant 8 players who battled in a game that was very close with a result and could have gone either way. Jamie’s U13’s had a comfortable 8-0 win in their first game away at Doncaster Rovers Foundation. They brought all 3 points back to Sheffield with goals coming from a hat-trick from Aaliyah Whitworth, Laura Machin (2) Millie Stephenson, Ellie Wright & Libby Andrew. Our U14’s started the season with a cracker of a game, they were involved in a Sheffield Derby against Sheff Utd and ran out 6-1 winners. Scorers were Brooke Betts (2) Lily-May Beevers, Ella-May Butcher & Rayanne Haywood. Our best wishes and hoping for a speedy recovery for Evie Wood who was ambulanced to A&E from pitch side with a suspected broken leg. Our U16’s and 18’s did not have a league fixture this week but our U16’s did travel to Hull to play Cottingham GFC who recently won the Handsworth tournament and finished their league runners up last season. Our girls came home with a 4-1 win. Sunday saw the third competitive game for the Ladies 1st team after two great wins in the league cup (9-1) and the FA cup (4-0) This week it was the first league fixture against Ossett Utd, a team that was created this season from a merger of Ossett Albion & Ossett town and a club that some say will be challenging for the title this season. On the day the better team won with a bright start from the Owls but a couple of soft goals meant the team trailed 2-0 at half time and although we huffed & puffed in the 2nd half a goal on 75 minutes put an end to the game and a 4th with the last kick of the game saw a 4-0 home win for the opposition. Our young Reserve team couldn’t have picked a tougher first game of the season as they faced AFC Doncaster, a team who were playing a level higher up until last year and also one of the favourites for the title this year. Gary Awdas commented: It was always going to be a tough match going from second division last year to playing a top division 1 team for first match of the season. Score line doesn't say it all but early nerves against league favourites AfC Doncaster gave them the lead and 6-1 at half time. A much improved second half saw us play some good football creating chances, making their defence and keeper work hard and giving them a game, weary legs saw 4 late goals go in but plenty of positives for us to work on and plenty of complements from a much more experienced team. Scorer: Halima Essa, MOM: Eleanor Vessey. Last but not least our Development team (last year’s U18’s) faced last season’s 3rd placed team Socrates. A great performance from our ladies finished with a 3-2 victory for us but there were enough chances to have doubled the Owls score line. Scorer’s: Tia Stancill, Caitlin Roberts and Courtney Watts.